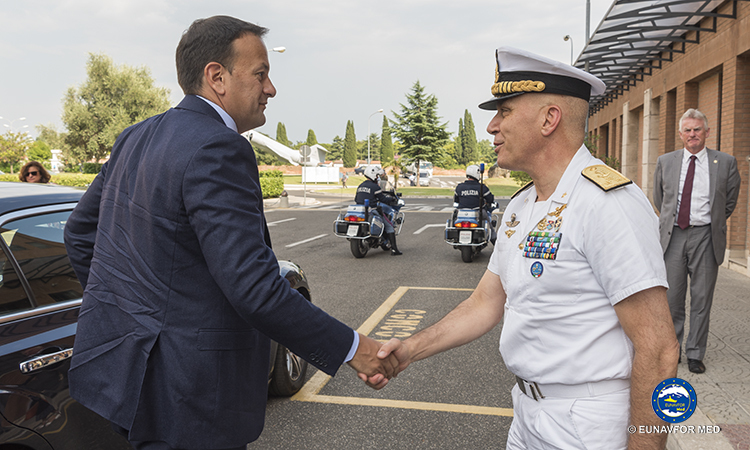 The Prime Minister, Mr. Leo VARADKAR T.D., paid a visit to EUNAVFOR MED Operation Sophia’s Operational Headquarters in Rome on 26 July 2018 where the Operation Commander, Rear Admiral (UH) Enrico CREDENDINO, provided a detailed update on the operation. 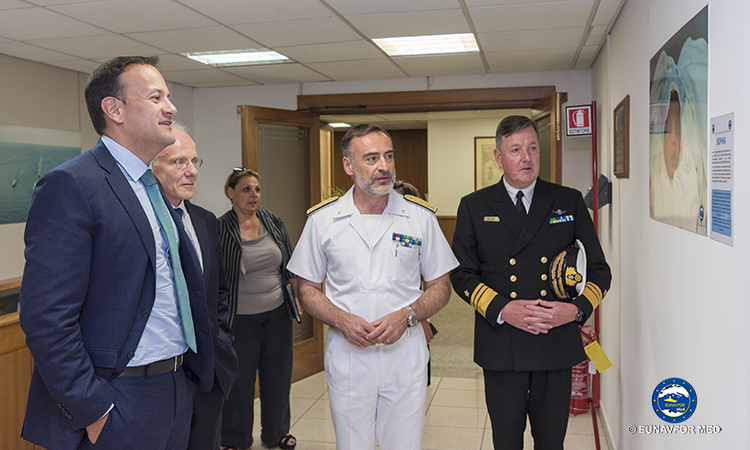 The Prime Minister took the opportunity to witness how and where the operational activities are planned, directed and followed, visiting the EUNAVFOR MED Joint Operation Centre. 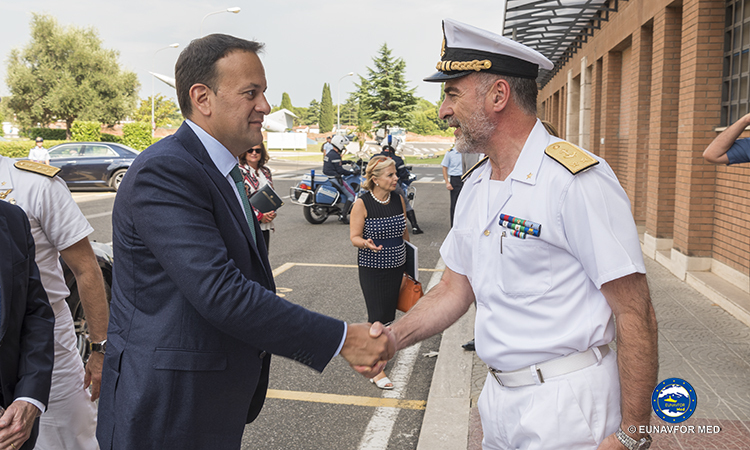 So far, EUNAVFOR MED Operation Sophia has apprehended 151 suspected smugglers and traffickers and delivered them to Italian prosecuting authorities. 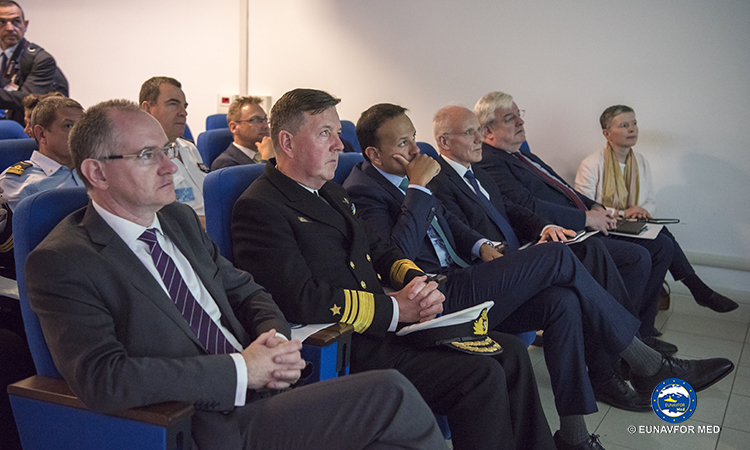 The Operation has also prevented 551 boats from being re-used by smugglers. 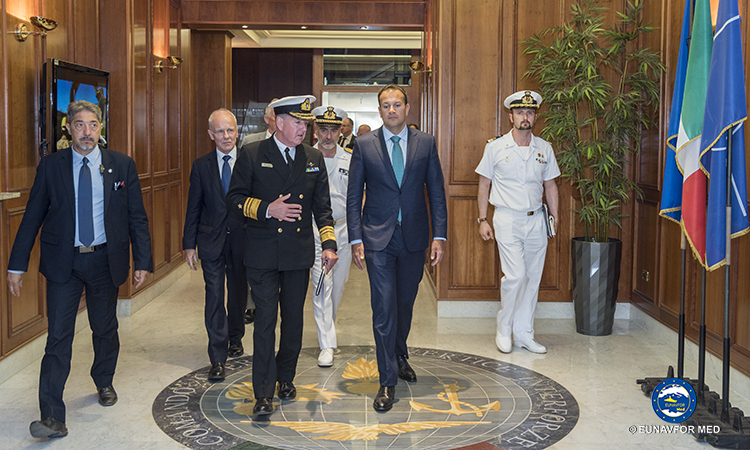 Although not a task of the Operation, more than 44.900 persons have been rescued at sea. 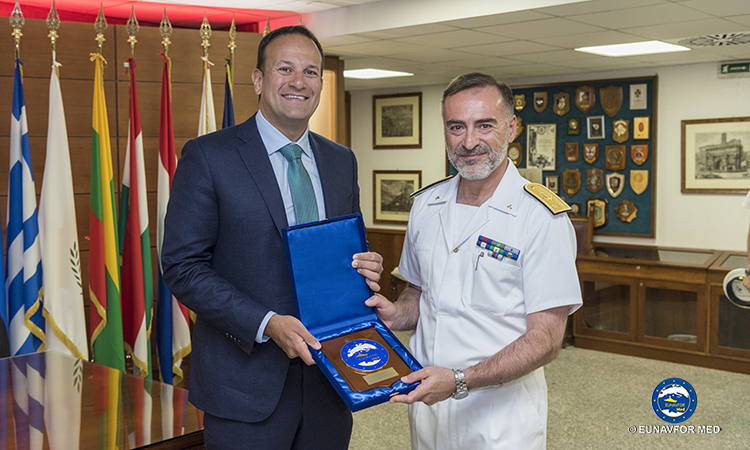 In 2016, the Operation received two supporting tasks: contributing to the implementation of the UN arms embargo on the high seas off the coast of Libya and training of the Libyan Coastguard and Navy. 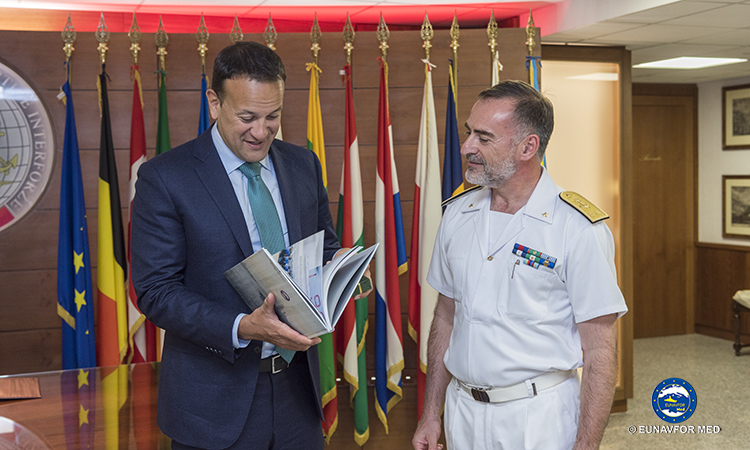 Since The Operation began implementing the arms embargo, the Operation seized arms on two occasions. 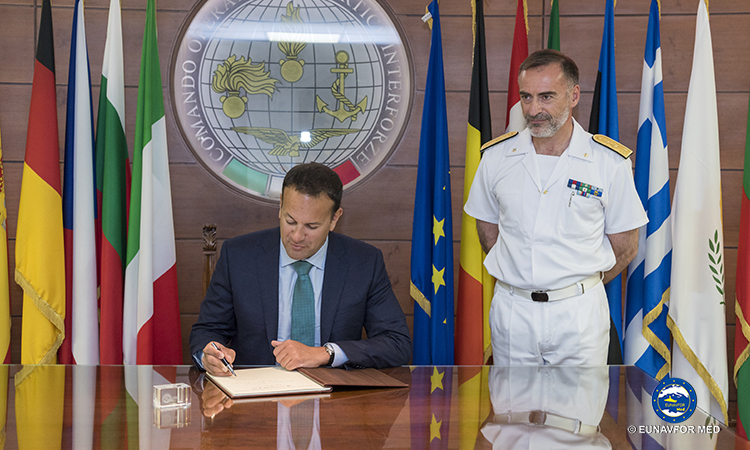 The Operation has also trained so far 237 Libyan Coastguard and Navy personnel. 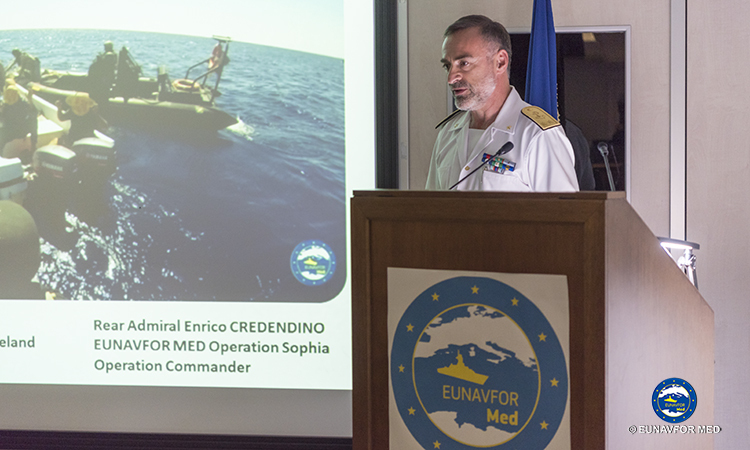 The current mandate of EUNAVFOR MED Operation Sophia runs until 31 December 2018. 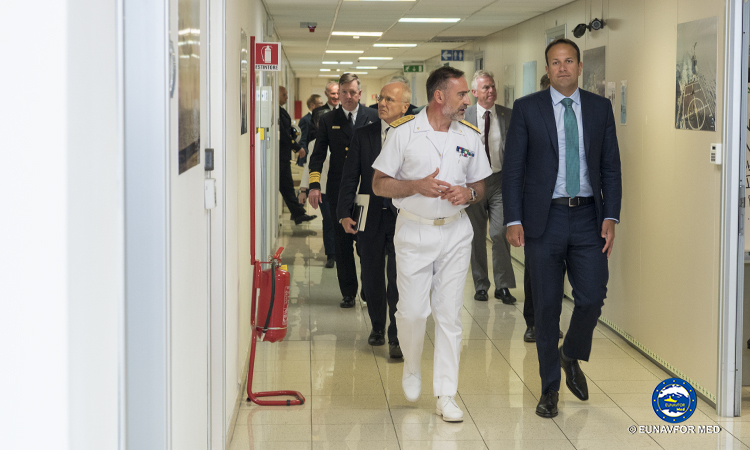 EU Member States are expected to carry out a strategic review of the Operation in the upcoming weeks.